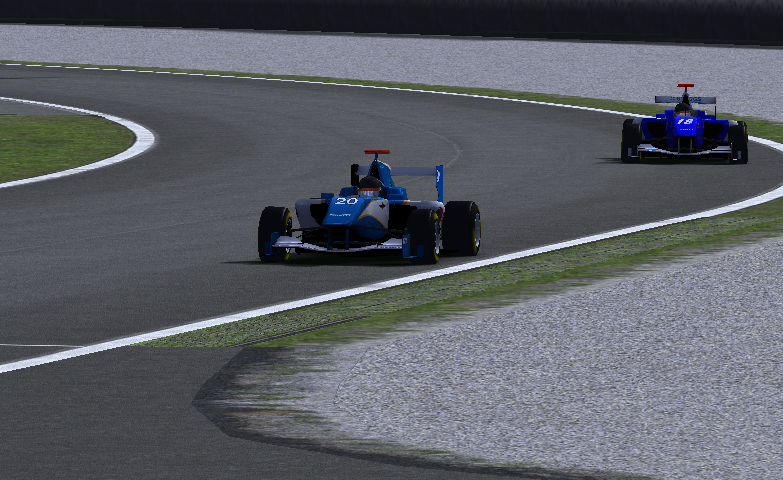 Yael De Bock took a reasonably straight-forward win in the AR2.0 Monza sprint race, keeping second-placed Gregg Donnelly at an arm’s length away all race. De Bock was quickest out of the blocks at the start line, leapfrogging Donnelly and pole-sitter Michela Martin into the first chicane, and proceeded to stay in front all race. Donnelly was unable to match the Belgian’s overall pace, and largely settled for second best whilst simultaneously building a gap to the fracas that was to emerge behind. 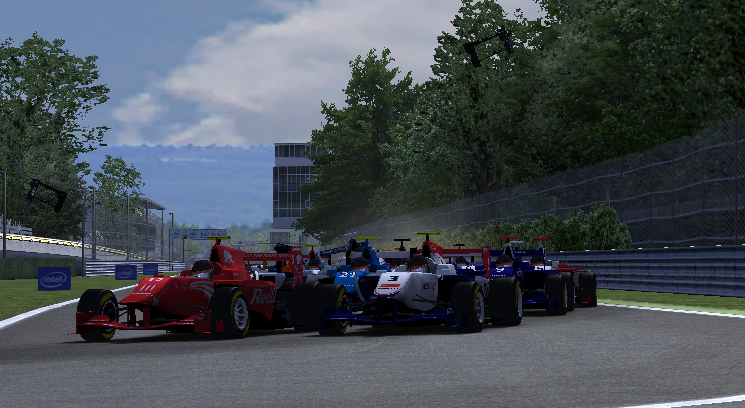 It became evident that the rest of the field were in with a shot of taking the final podium position, and as such the midfield pack became increasingly congested within the opening laps. On lap three, Plus One’s Rach Moore showed the sort of skills only a bowling champion could dream of, when she locked up and made contact with both ICE-3 cars of Lukas Zaugg and Juliana Ivarsdottir. Zaugg was able to mitigate any further collisions, but Ivarsdottir was unable to avoid Jazmin Caldeiro, who was then forced into the back of Kevin van Kerckhoven. Moore was given a ban for the next round at Magny-Cours, and so Plus One must find a replacement for the #4 car. The field spread out a little more after this and the racing remained relatively incident free, barring a scuffle between Michela Martin and Vaclav Malsyz who were fighting over 5th; Malsyz mistimed his braking and made contact with Martin at the Variante della Roggia. Malsyz received a warning point for his part in the accident and put both drivers out of points contention.